Arteries are basically blood vessels carrying oxygen rich blood throughout the human body. Healthy arteries feature smooth internal walls with blood flowing thoroughly through these arteries. 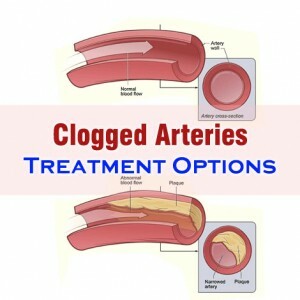 However, there are some unfortunate people who suffer from the problem of clogged arteries. Clogged arteries result from the buildup of a certain substance known as plaque. Plaque builds up on the internal walls of the arteries which brings about a reduction in blood flow and block them altogether. Clogged arteries might increase the chances of stroke, heart attack and death. Therefore, it is quite necessary to look out or the best clogged arteries treatment options. Leading a healthy lifestyle can always help in managing arterial plaque. This includes maintaining healthy body weight, eating foods low in cholesterol and saturated fats, not smoking, managing the levels of stress, exercising on a regular basis and trying to keep cholesterol and blood pressure down. It has been concluded through studies that carotid stenting is one of the best clogged arteries treatment options. This is basically a kind of endovascular procedure involving the placement of a small metallic mesh tube followed by open heart surgery. This surgery helps by scarping off plaque in the arteries. This is an operation where the arteries from the other parts of the body are moved for bypassing the clogged arteries. This helps oxygen-rich blood in reaching the target destination. 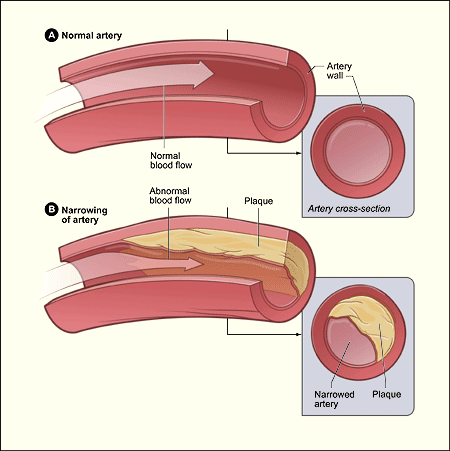 It is a procedure which helps in opening up the clogged arteries which tend to become fully or partially blocked. There are a number of quality medicines that can be of good help in controlling the factors that result in the formation of plaque in the internal walls of the arteries. Some medicines that can be effective in this condition include blood pressure-lowering medicines and cholesterol-lowering medicines. What Are The Most Common Enlarged Heart Symptoms To Look For? What Are The Risk Factors Of Congestive Heart Failure?